toxic substance storage cabinet with an 160 litre capacity and featuring the patented sequential closing system. 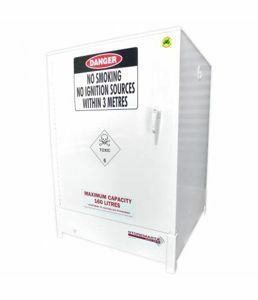 A versatile Dangerous Goods storage solution that provides more than mere compliance and suits demanding environments such as mining, defence, heavy engineering shops and many more. toxic substance storage cabinet with an 250 litre capacity and featuring the patented sequential closing system. A versatile Dangerous Goods storage solution that provides more than mere compliance and suits demanding environments such as mining, defence, heavy engineering shops and many more. 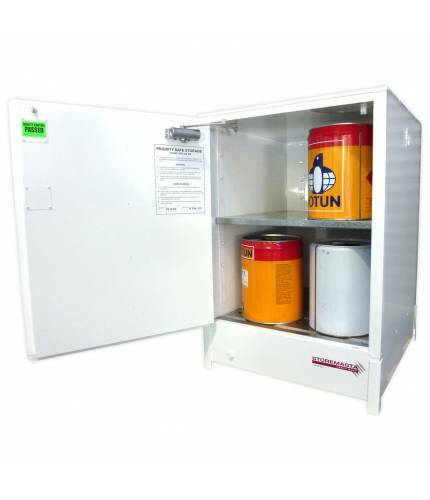 toxic substance storage cabinet with an 350 litre capacity and featuring the patented sequential closing system. A versatile Dangerous Goods storage solution that provides more than mere compliance and suits demanding environments such as mining, defence, heavy engineering shops and many more. toxic substance storage cabinet with an 80 litre capacity and featuring the patented sequential closing system. A versatile Dangerous Goods storage solution that provides more than mere compliance and suits demanding environments such as mining, defence, heavy engineering shops and many more.